That’s where we wanna be! When you become a millionaire, you can go anywhere you want… right now. We’d go to the beach. Order your tickets. 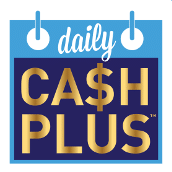 Win the $2.7 million Cash Grand Prize Draw! Become a multi-millionaire with a click and a ticket… and don’t forget to buy early! Win more when you get in the $35,000 Fall Bonus, the $40,000 Christmas Bonus, and the $200,000 Early Bird draws. It’s glamorous and exciting, with one of Europe’s most truly captivating cities as its backdrop. Delicious food, history and culture is only minutes away, and you’ll never forget your first dip in Barcelona’s water. Take a deep breath as you put one foot in front of the other on your way down these steps to the grottos, islands of sand, and caverns that line the coast of the Algarve’s most popular tourist destination. Lagos is, for lack of a better description, gorgeous. And like much of Portugal, it’s finally being discovered. So you better book your flight soon! Spring Breakers and college trippers love it, and everyone could use the low-maintenance relaxation of an all-inclusive resort, but that’s not all Cabo is. From the golf courses to the restaurants, shops, and bars in downtown Los Cabos, all the way to the famous Arch, this is the perfect place for your ideal Mexican getaway. Sure, the North Shore isn’t one beach. It’s many – a network of sandy spits and picnic spots on the far side from Oahu’s bustling Hawaiian city. Honolulu isn’t a metropolis, although it’s the closest thing to one for hours. And the parks and surfer spots that line the North Shore are the perfect laid-back foil to Town. This is the capital of ‘hang loose’ – the place where Aloha isn’t just hello or goodbye, but a salute. One of the world’s most postcard-worthy spots in a favourite of anyone – especially couples, friends, and 20-somethings – searching for the ultimate selfie. Koh Samui’s city centre may be full of college kids, buckets of booze, and flooded restaurants and bars, but Chaweng Beach stretches from the craziness all the way to (what seems like) the edge of the earth. The white sand and impossible clear waters are ripped from that dream you’ve always had – that trip to Thailand you’ve always imagined. This is heaven. Colourful, and full of life. Vibrant is the best way to describe the world-famous strip of sand that’s made Miami a go-to getaway spot for decades! This is where the party is! Clearwater is one of the United States’s best beach towns – with plenty of golf, shopping, sporting events (the Lightning, Buccaneers, and Rays all play in nearby Tampa), and nightlife to keep you busy all trip long. The five towns that make up Italy’s Cinque Terre – Riomaggiore, Manarola, Vernazza, Corniglia, and Monterosso al Mare – are Instagram-worthy, charming tourist towns. Each has its own appeal, but the region itself is one of Europe’s can’t miss destinations! Take into account all the day trips and cities that line the Italian coast nearby and to the north – like Portofino, Santa Margherita Ligure, Rapallo, Genoa, and San Fruttuoso – and a voyage to the Cinque Terre is a trip all to itself. Haven’t you always wanted to stay in one of those huts that sits atop the ocean? Us, too. The pictures speak for themselves. El Nido (and its setting, Palawan Island) is a breathtaking natural wonderland in Southeast Asia, and one of the world’s most renowned beaches. Many might think of L.A. as the capital of California cool – but San Diego is the real laid-back star with the charming downtown, easy-to-come upon culture, and the beaches of Coronado Island. Most famous for its hotel, The Del, which became an American Historic Landmark in 1977, Coronado is marked by family friendly sleepiness and a beach that stretches as far as the eye can see. When you to Australia, you go to the beach. You expect the beach. And when you go to Australia, you’ll most likely go to Sydney. So why not hit both with one stone?! Bondi Beach is perhaps the most famous beach in all of Australia, and anyone who’s been to this incredible continent has likely been to Bondi as well. Hey, British Columbia’s got some game, too! Tofino is a surfer’s paradise with an almost impossible beautiful and mystical horizon, not to mention cute coffee houses and restaurants that will make the journey feel like the destination – and vice versa. Lahaina isn’t the only great beach on Maui. In fact, it seems like you can’t take a step without finding a new one. But Lahaina is the town that the rest of the island seems to orbit around, and it’s the perfect jumping-off point for your next Hawaiian holiday! These two neighbouring, terrific seaside towns both bring their own personality and style to your trip’s table, with Venice being the cool brother to Santa Monica’s polished promenade and Pier. No trip to Los Angeles is complete without a visit to either (or both) of these cities, and there’s no wrong choice. Whether it’s Corfu, Mykonos, Santorini, Ios, or any of the many small islands that make up his historic country – be it Naxos, Koufounisia, Milos, Kos, Crete, or any of the rest – you’re have the time of your life in a town you’ll never forget (and may need some help pronouncing). Beautiful blue waters, lavish resorts, heart-stopping nature, and bungalows above the ocean… Bora Bora is a two-word definition of itself. Truly, we should all hope to be lucky enough to see and experience Bora Bora – and the rest of Tahiti and French Polynesia – at some point in our life! Circling back to everyone’s favourite Pacific Ocean-surrounded American state, Waikiki’s beach is world-famous and flooded with tourists just like you. But the downtown is vibrant and stacked with wonderful shops and restaurants. And if you find the right spot on the sand and wait just long enough for the sun to rise and set, you’ll be planning your next trip to Honolulu the second you leave!